The latest delay in ICD-10 implementation has caused both frustration and relief for people in the healthcare field. Now that the official date for implementation is October 1, 2015, here’s what you can expect to see happening during this interim period. The primary purpose behind the several delays has been to give healthcare practices more opportunity to prepare for the transition. 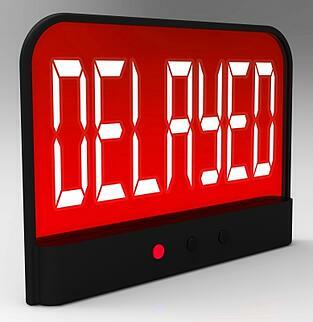 A great number of companies have taken advantage of this most recent delay to go far beyond mere readiness. Instead, they are investing more time in training their staff in the new codes. This is not a question of simply learning a few new codes. ICD-9 already had 17,000 codes and five positions. ICD-10 will contain 69,000 codes and seven positions. Even people already well-versed in coding practices need a considerable amount of preparation to learn the new codes and their various permutations. Unfortunately, not every organization is going to manage this transition well. When the date for implementation was right around the corner, there was energy associated with the task of readiness. Executives in charge of funding the changes bought in to the idea. While some organizations will continue to use the extra time to improve their preparations, you can expect to see others lose momentum. While ICD-10 has been touted as a coding format that will improve opportunities for revenue, more than one-third of organizations fear that it will negatively impact their income. According to a survey of 349 healthcare organizations, conducted by the eHealth Initiative, only 6% of practices believe that ICD-10 is actually going to result in improved finances. The extended implementation date will give more of these organizations time to accustom themselves to these changes. As they become more knowledgeable about ICD-10, their opinions about its financial effects will become more informed. If it appears likely that the new format will bring about lowered revenues, then these companies will at least have more time to prepare to absorb those potential losses. This same survey demonstrated that 40% of these same organizations were set to conduct end-to-end testing before the end of 2014. Another 25% of the polled organizations plan to do so during 2015. However, a full 41% of these organizations claim that they have no knowledge of how to conduct this testing. More information on such testing through CMS is available on the CMS’ website. The coming year will certainly see many organizations bring themselves to full readiness for the transition to ICD-10. Hopefully, even those that do not achieve full readiness will still profit from the delay by bringing their coding methods in line and preparing themselves for any financial impact.